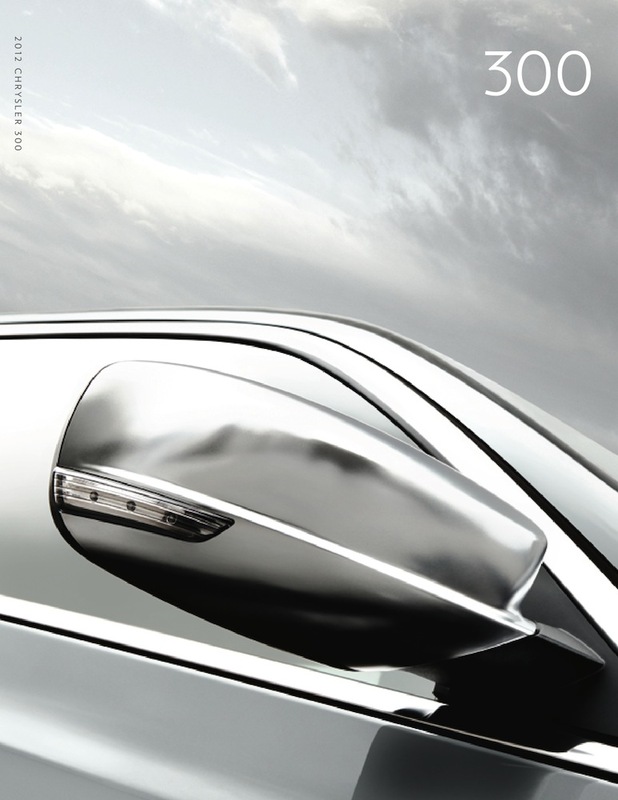 Sales Brochure for the 2012 Chrysler 300. Models include the 300, 300 Limited, 300S, 300C, and 300C Luxury Series in 2-wheel or all wheel drive. Engine options are the 3.6L V6, 5.7L Hemi V8 and the 6.4L Hemi V8. Exterior colors are Bright White, Gloss Black Bright Silver metallic, Deep Cherry Red pearl, Cashmere pearl, Blackberry pearl, Crystal Blue pearl, Tungsten metallic, Luxury Brown pearl, Ivory tri-coat, and Bordeaux pearl.